Tape may seem like an object that can be ignored when it comes to the headlight restoration process, but you should think twice. Tape is used to protect the paint surrounding the headlight from getting scratched, or worse, removed. Sanding is an abrasive action and one slip up could easily remove paint. 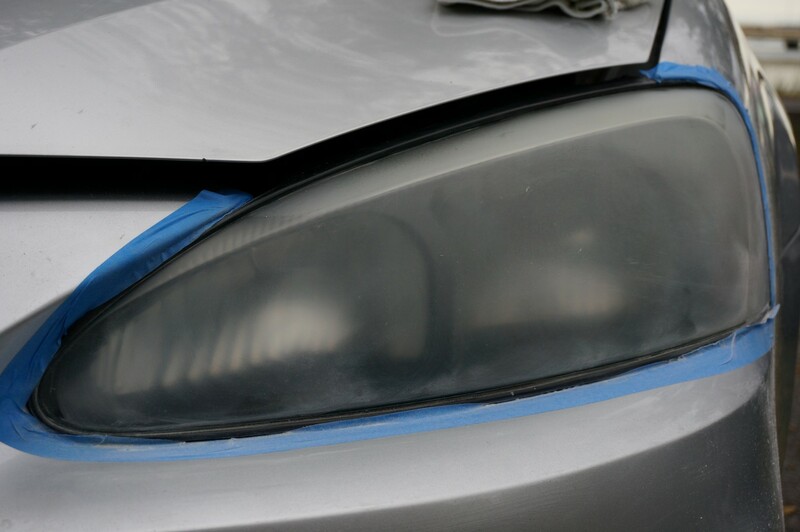 Painter’s tape is the best choice to use for headlight restorations. There are several types of painter’s tape, but the most common is the blue 3M tape. Generally speaking, most blue painter’s tape will work well for adhering to your vehicles paint during the restoration. These types of tapes can handle the water that they will get in contact with, and will not pull the paint from your vehicle upon removal. When using a drill-based headlight restoration kit, you are adding a tool to the event. With improper use, the drill could kick and end up nicking the paint surrounding the headlight. This damage is often referred to as a paint chip. Paint chips are a minor inconvenience, but left untouched, become a potential rust spot. Rust spots left untreated become a rust hole, which then becomes a big problem. At this point, you may need to replace the whole panel. The tape used on the surrounding paint becomes a “second-skin” or a sacrificial layer to take the brunt of the damage. Knowing the potential damage of not using tape to aid in the headlight restoration process should convince you to spend the extra 5 minutes to “tape the paint”. A common technique used is the double-tape all areas surrounding the headlight. This ensures that there is an even stronger barrier between the sanding pads and your vehicles paint. We highly recommend this technique to beginners.